Reading blog entries can be fun and informative (and I DO plan to continue this blog! ), but listening to the passion in the voices of the fans can be really exciting too. 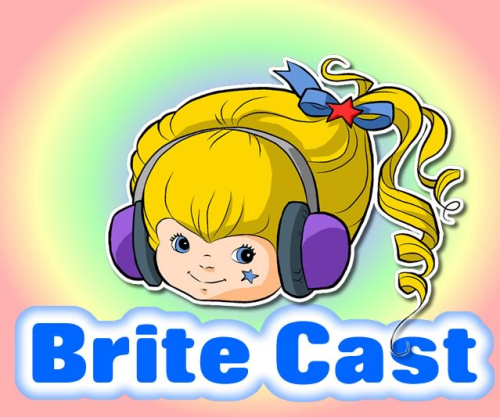 In our first episode, we talk about Rainbow Brite's history on the Internet, and about ourselves as Rainbow Brite fanatics. In the future, we'll tackle the cartoon series, the dolls, the books, and more. But what we'd love is to hear from YOU! What topics would you like us to discuss? Are there any burning questions you've always wanted answered? 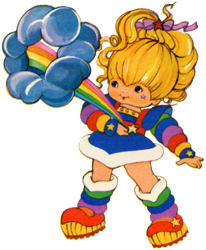 Do you have a Rainbow Brite related story you'd like to share? We'd love to hear it all :) You can contact us on Facebook and Twitter. You can email us at BriteCast@gmail.com. And you can submit your voice messages to us too! US fans can call (702) 900-STAR to leave a voice message. Or, all fans can use Vocaroo.com to record a message and send us the file or link.